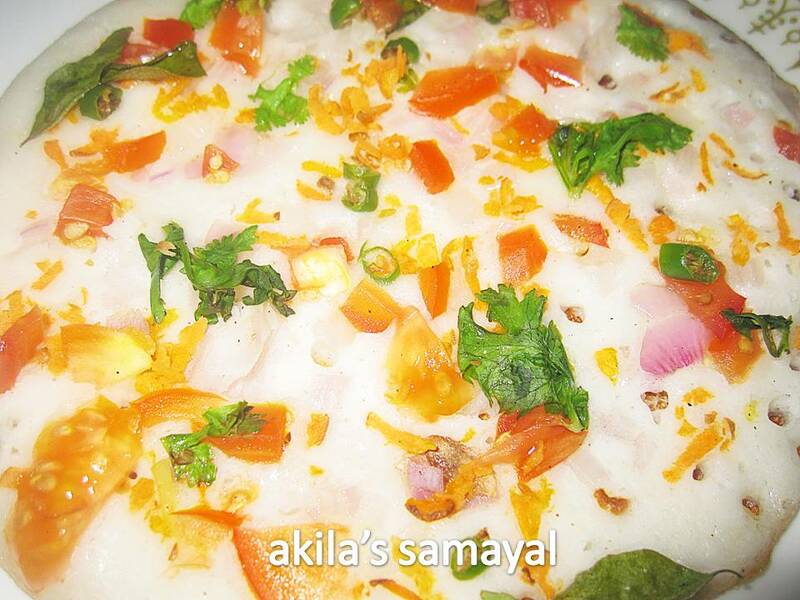 In the dosa batter, add the salt and mix well. ( if it is not added before ). In the dosa pan, Pour the batter and make it a round shaped. Sprinkle the mentioned vegetables on the dosa. Pour 1 tsp oil around dosa and close the dosa with lid and allow to cook. Take care it is not burnt in the bottom side. Serve hot with any chatney or sambar. I served with tomato chutney. Colorful dosa. Surely a good way to feed veggies to the kids !! Very cute and colourful looking dosa.. Happy Vinayaka Chaturthi to you. Just like the name. Doas ta dekhte khub colorful hoyeche. 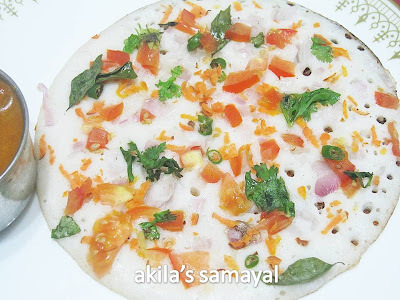 dosa looks super delicious akhila ..
Super Dosa! Looks so yummy! Glad to follow you 🙂 Happy blogging! Dosa looks delicious and mouth watering. Feel like having it now. Woww.. dosa looks so yummy and colorful.. lovely clicks !! 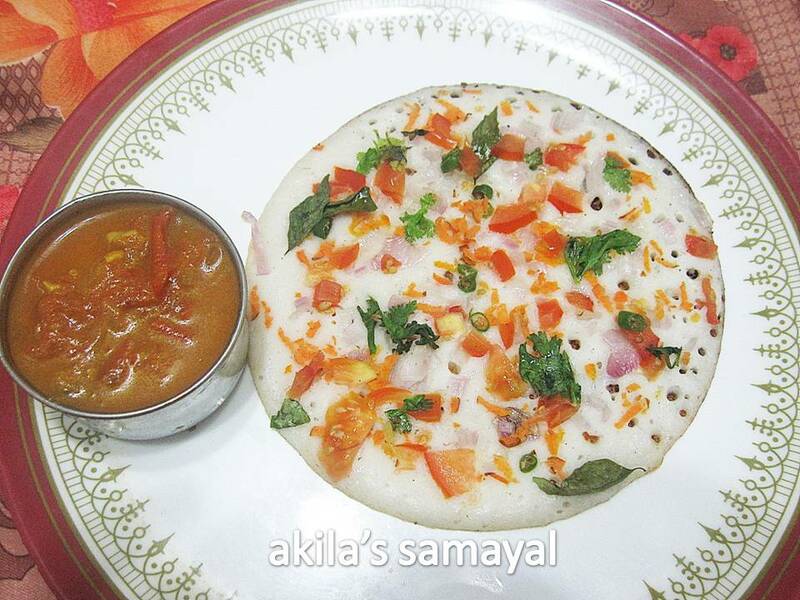 A very colourful dosai indeed…can i have some??? 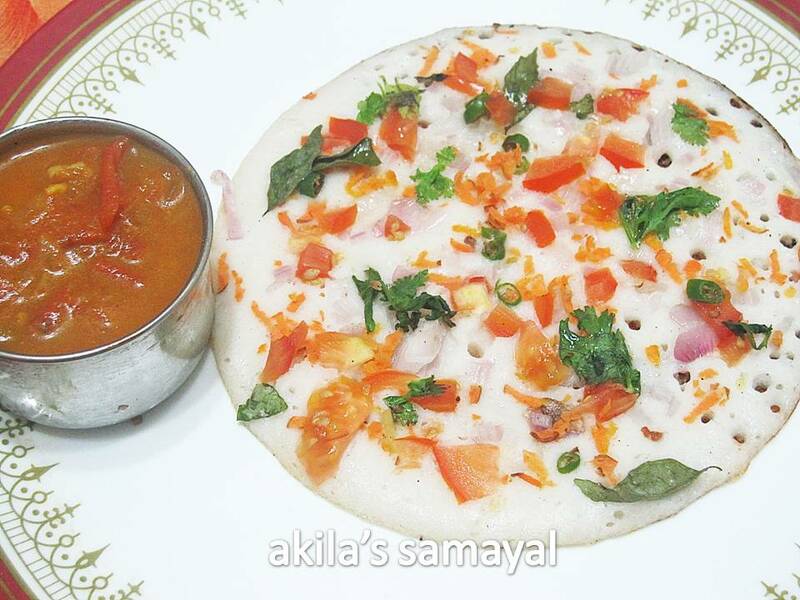 Hey, your dosai looks super delish! love the colors in it!